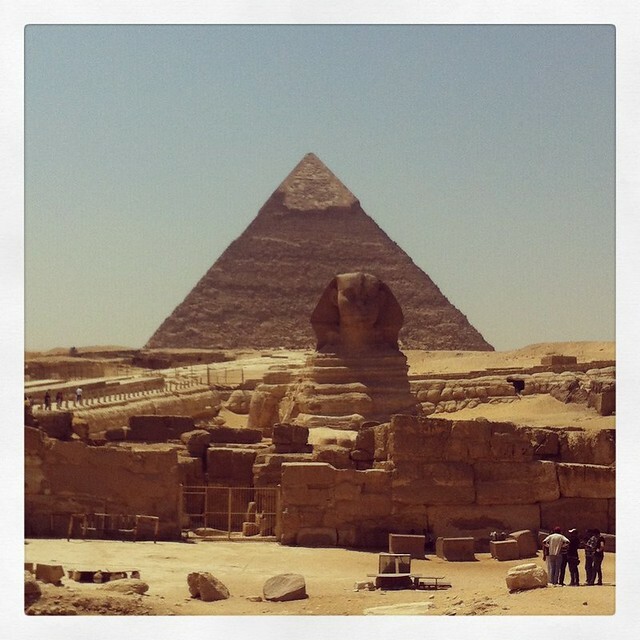 I spent 2 days in Egypt with a tour group, visiting Giza and Cairo. Unlike Chinese tour groups, we were brought to local restaurants for our lunches (dinner was not included in the package). 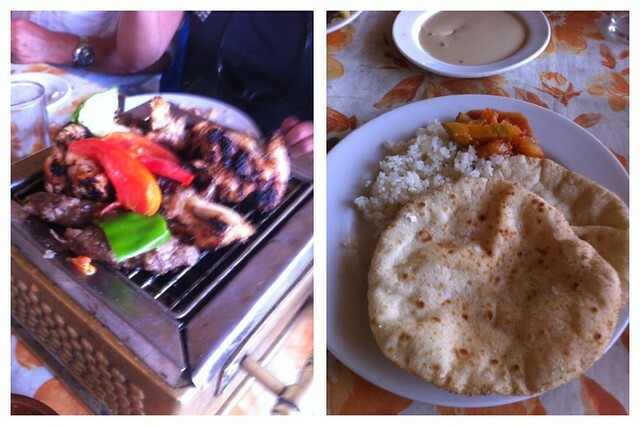 I fell in love with Egyptian food when I took the first bite of a well seasoned barbeque meat at our first restaurant. Egyptian bread is fluffy and has an empty air pocket in the middle. I love tearing off bits of bread and stuff them in my mouth. Mmmm. 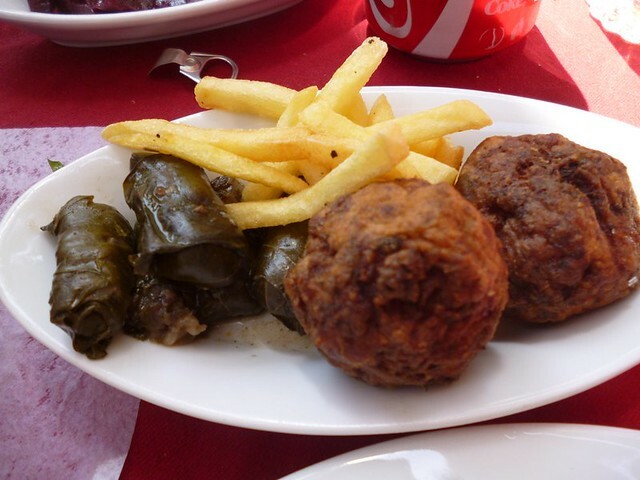 At one of the stops, we had vine leaves with something inside. I couldn’t remember what it was, it could have been meat but it might have been something else. 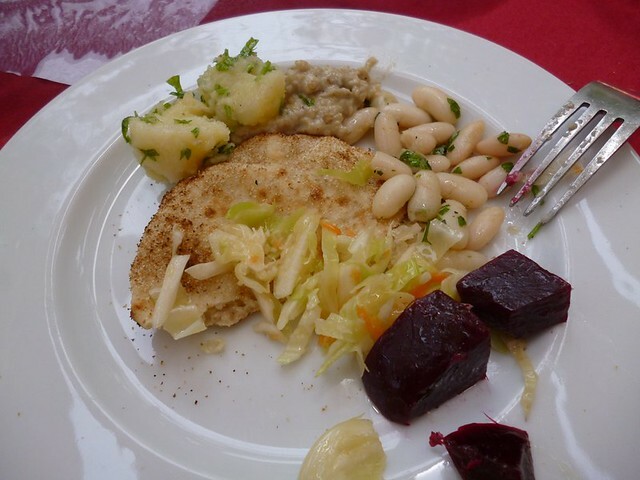 i also ate falafel for the first time in Eypt (yep, I didn’t have any in Paris or Dubai). It was nice but I do prefer my balls of food to contain meat. 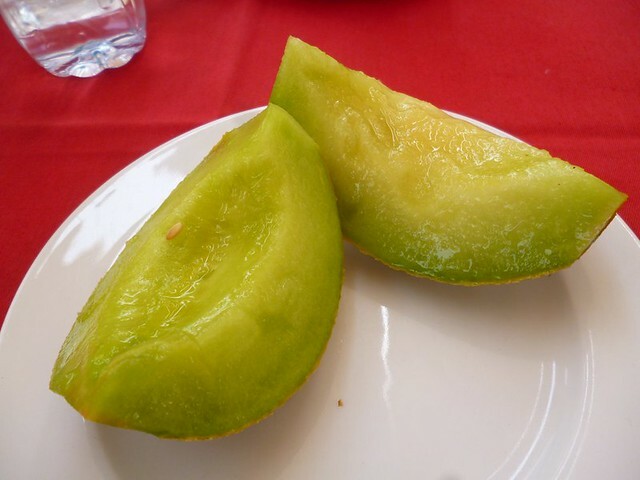 The honeydew that we were served at lunch was pure sugar. I first heard about this exotic drink on a Jamie Oliver cooking show. He was preparing a meal in under 20 minutes or so and whipped up a batch of bright red hibiscus tea from tea bags. I bought a box of hibiscus tea when I found it on the shelves of an Egyptian Carrefour. The drink I made was really sour and I didn’t have that great of an impression. 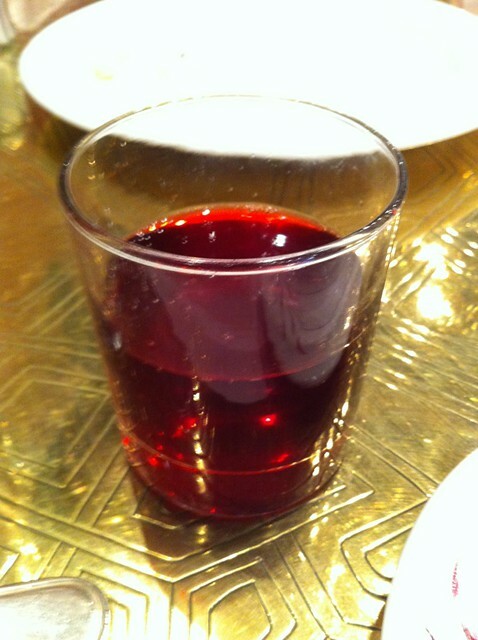 When I was on the tour, I found out that hibiscus tea is served cold and sweetened. I love this formula. The taste is a mix of sweet and sour. I overheard someone describe it as “cranberry juice” so you can imagine what it tastes like. 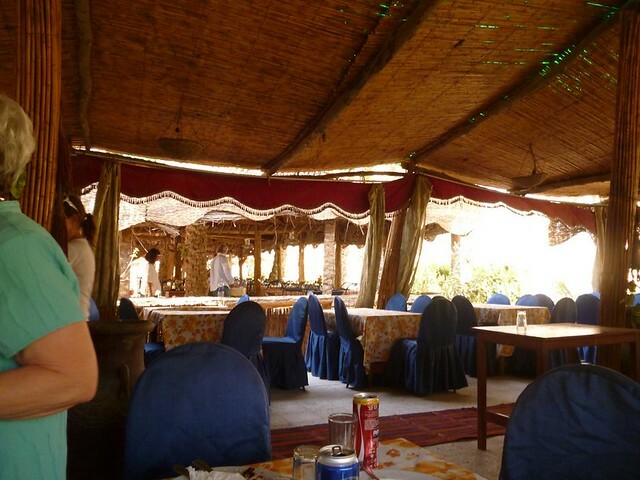 The two of the restaurants that we went to were open air. Even though this made the location even more exotic, it’s kind of crazy sitting in the hot open air under the desert sun. 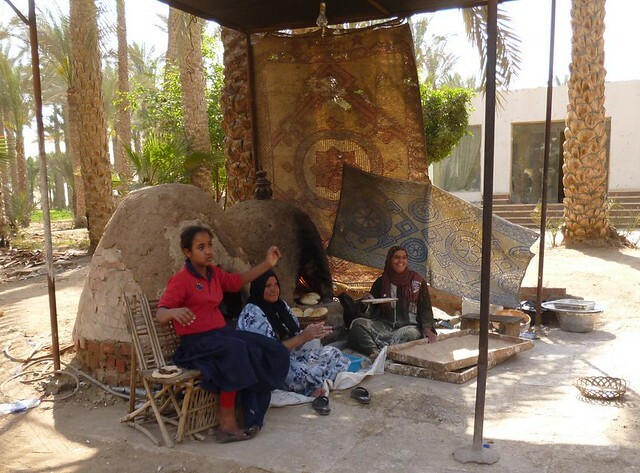 The two places that we went to had a section where ladies made bread. It was quite fun to watch them pound dough and bake bread but it felt more like a zoo which made me uncomfortable. 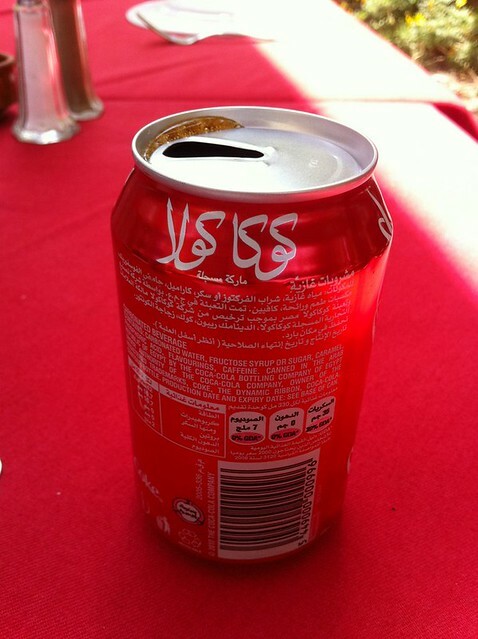 Not actually something very interesting but here’s a can of Coke in Arabic. 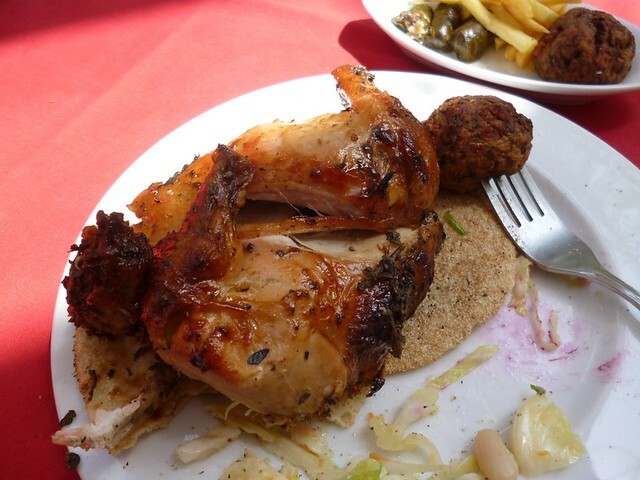 What is your favorite Egyptian food? Share them in the comments below!